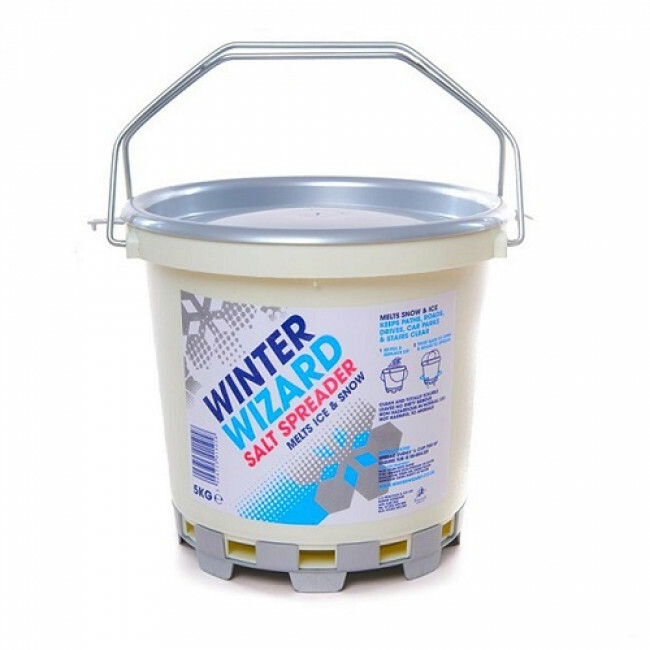 This Winter Wizard is an effective de-icer that has the ability to melt snow and ice, and fast! This shaker tub has the ability to evenly spread the salt from the bottom on the tub, it's easy use, with no requirement for a scoop. This Winter Wizard has the ability to last longer than regular rock salt. It is made from a blend of chlorides and is totally clean and soluble, meaning no residue is left behind.